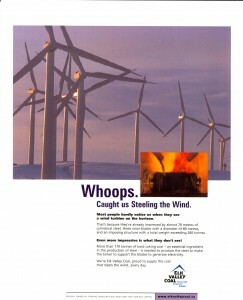 Many people believe that the coal industry is necessarily opposed to the development of wind-based energy. But nothing could be farther from the truth. I was reminded of this issue while attending the Western Business Roundtable’s 2010 Summit of the West in Phoenix this week. One of the speakers alluded to the idea that coal and renewables might be at odds with each other. A little later in the day, Laura Skaer, Executive Director of the Northwest Mining Association discussed how green energy and renewables would not be possible if it were not for the minerals that were produced by our mining industry. I had an opportunity in the Q&A period to get up on my coal-powered soapbox and let the conference know that green and renewable energy also would not be possible without coal. 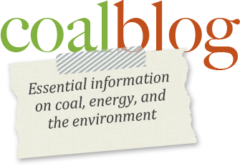 In fact, the coal and renewable energy industry represent the potential for a great partnership in the provision of clean, affordable, abundant, and secure energy. The ACC is not only not opposed to the development of renewable energy, we support their development as part of a diverse and stable electrical generation portfolio. There are always a few sideways looks at that point, but there are many heads nodding in agreement as well. Translation: You always need some form of firming power to make up for the times when the wind isn’t blowing. Fossil fuels (natural gas and coal) and nuclear typically provide that power. The construction of a 60 metre wind turbine requires about 100t of steel. Another interesting photo that I received from our friends at the Coal Association of Canada and Teck Mining Company (formerly Elk Valley Coal) provides very similar information. (check it out – click on the photo to see the full-sized ad.) Their numbers indicate that over 170 tonnes of met coal are needed to produce the 260 tonnes of steel in each windmill. 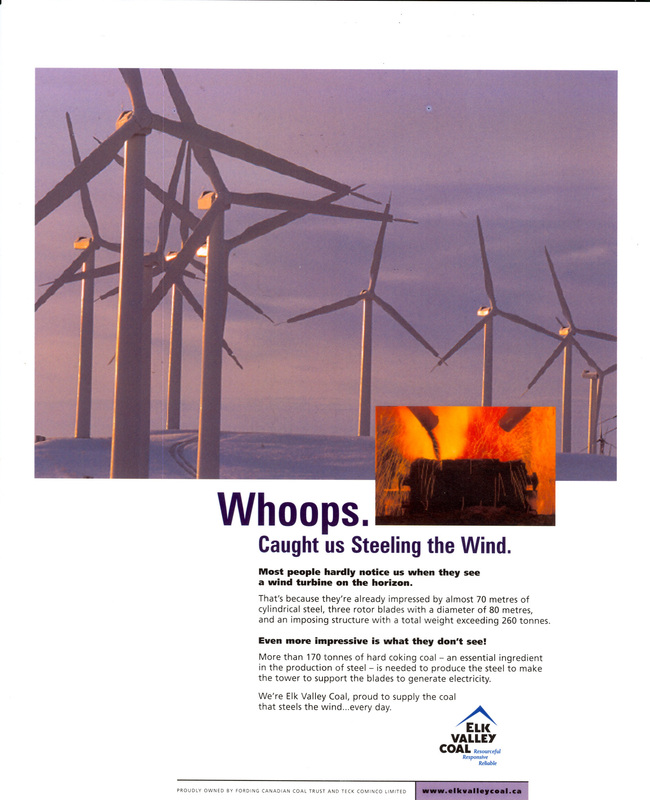 So, please do go ahead and build more wind turbines. Our met coal producing friends will thank you. Categories: Emissions, Environment, steel, transmission, Utilities	| Tags: energy, generation, renewables, wind	| Comments Off on Coal vs. wind?